You've heard me go on and on about my Whole30 experience, from what I ate to how I felt, and today I wanted to wrap up the entire experience with one last post. Today I'm going to be talking about why the program worked for me (and maybe why it's not for you), how I felt before, during and after, and what I'm doing now! I saw so many amazing improvements over the 30 days that I did the Whole30. It really amazed me how good I felt, and even saw some physical changes. This is definitely not an exhaustive list of all of the improvements I found, but some of the biggest and most important changes. I went into this program hoping to improve my digestion and have less stomach issues, particularly during running. I got those benefits and so, so much more! Outside of a few people in my real life, no one really knew that I was doing the Whole30. A few times at work, my boss would bring donuts and bagels in and offer me one. Instead of saying that I was on this crazy diet and I'm not eating gluten and make a big deal out of it, I just said that I had my breakfast already, but thank you. And guess what? He dropped it and moved along. Similarly, when I would have lunch with friends or go out to a restaurant, I would just order something that was Whole30-compliant and not explain myself away. I've found that most people didn't even realize that I was eating differently since I didn't point it out, which made the whole process a lot easier. It was also really easy to do this in January, since a lot of people make resolutions to eat healthier, so I didn't feel like a freak for bringing a salad for lunch or a ton of veggies for breakfast! Why this might not work for you: You're very social and feel weird about eating differently. If you're eating out with friends a lot and are all of a sudden changing your habits, they might catch on and start asking questions. Just remember- you're doing this for your health and have your own reasons to do it, so don't give in to peer pressure or feel weird! Explain to your friends that you're doing a 30-day program where you only eat "whole" foods, and hopefully they'll be supportive. This is also a good chance to save some money by having a 30-day spending freeze on going out if you want to be a bit more extreme! Every weekend, it was my priority to plan out my meals and start prepping. On Saturdays, I would work on my meal plans (which I shared- check out week 1, week 2, week 3, and week 4! ), then Sunday I would shop early in the morning while the store wasn't busy yet, and come home to immediately start prepping. I would leave out all the veggies and meats to chop up and put in containers for lunches, or throw protein and a sauce together in a freezer bag to grab and cook during the week. Prep was essential for me, and really made the Whole30 an easy process with no thinking required! Why this might not work for you: You don't have time to prep or hate prepping. During the weeks, I'm really busy and have no time to shop or prep food, which is why I always go on the weekends. Try to figure out a time that works best with your schedule, which could mean a weekday in the morning, or late at night, or in the middle of the day on the weekend! There are a lot of resources out there for meal planning, which makes it really easy and takes away all the hard work. I shared some resources in this post to get you started! I would suggest giving planning a try just for one week, and be ready to be amazed by how it positively impacts your life and makes eating healthier much easier! With about a week to go, I decided to treat myself to a special six-pack as a way to celebrate day 31. I made sure to put it away when I got home, and didn't refrigerate it until the morning of day 31 so that I wouldn't be tempted to drink it early. It gave me something to look forward to and see the light at the end of the tunnel! It was also important to me to only introduce one non-compliant group that first day to make sure I didn't get sick. If you go back to old eating habits right away, you'll probably feel awful and not be able to figure out which group actually bothered you! Why this might not work for you: Some people might give into temptation if they have something off-limits in their house. In that case, make sure you don't buy anything until after the program is over! You might also be tempted to give in or quit early because you're looking forward to that treat on day 31. I would suggest making plans with friends to go out to dinner or get a drink to celebrate. This will force you to wait until the 30 days are over, plus you can finally be social again! Make sure you're not eating every off-limit food at once though, or you'll wake up on day 32 with a post-Whole30 hangover! The thing that made this the easiest to me was to focus on the bigger picture. I felt better than ever (just look at all the positive changes above! ), so I didn't want to cheat or change my habits. Why this might not work for you: You don't feel better. Believe it or not, Whole30 isn't for everyone. In my Running Whole30 Facebook group, there were some people that didn't see any improvements, and actually had less energy and more issues when they changed their habits. The creators of the Whole30 mention that this program is pretty much a self-experiment, and their rules aren't going to work for everyone. People have different dietary needs (particularly runners), so what works for one person might not work for another. I was lucky enough to see all of the life-changing differences that were promised, but if you're not, Whole30 just might not be for you, which is perfectly fine! I do have to admit that the first few days were a bit rough because I had to figure out how much food I needed and make sure that I was eating enough to support my marathon training. Tweak your food intake, but if it's really causing problems in your life, I would recommend moving on and talking to a doctor. One of the biggest complaints about Whole30 is that there aren't a lot of foods to eat, and it gets boring by the end of week one! While this might be true on the surface, there are so many foods out there that you might not have tried before. Just giving them a chance and looking up new recipes helps to keep things fresh. I tried a lot of new foods during this program- dates, beet greens, watercress, sweet potatoes, squash- so it was a great chance for me to expand my horizons and I never got bored! Why this might not work for you: You're a picky eater and don't want to try new things. All I can say is that it's worth it to try something different. You might find something that you like and surprise yourself! Dan is one of the pickiest eaters out there, and even he found some new foods that he liked just because he was willing to try (sometimes I had to sneak in new foods for him to actually give it a chance, but he eventually got more adventurous.) Worst comes to worst you find a new food that you hate and end up throwing it out, but you might just find a new food you love. Have some "go to" snacks. Every week, I would roast a bunch of sweet potatoes and make my 2-ingredient date balls and egg cups. These were foods that I loved and could quickly grab if I needed something, and didn't take long to prepare big batches. I loved having the sweet potatoes to throw into a salad or as a base for a breakfast bowl (or even thrown in with an egg cup for an easy bowl), and the dates were the perfect pre-workout fuel. Try new types of coffee. I loved experimenting with different blends of coffees during the Whole30! Since creamers and sweeteners are off the table, it was fun to get higher-end beans and have a more luxurious experience in the morning. When you get a better quality coffee, it really doesn't need anything else added to cover the taste! I love the Marley Coffee, Tim Horton's Coffee, or just going to my favorite local coffee shop and buying a bag of their beans. Make sauces and dressings! This is something that I discovered about halfway through the Whole30, but sauces can really transform blah food into something more exciting. Some of my favorite compliant sauces include sunshine sauce, carrot dip, everything in this post, and smokey hot BBQ sauce. A lot of salsas are also compliant, so I loved using that as a dip for vegetables or as a topping for salads! I also discovered coconut aminos, which can be added to just about any plain sauce to give it an Asian flair. Plan ahead. There were a few times that I had to go out to restaurants, and I made it through with no problems. I made sure to check out the menu ahead of time so I knew exactly what I could order. I also went away for a weekend at the very end of the program, so I made sure to pack breakfast for every day, along with a big tupperware of chili and some baked potatoes and vegetables (I use containers similar to these which make it easy to pack up a bunch of food!). I didn't want to be an inconvenience when it came around to meal time, so while everyone was eating normal food I just had my compliant food and there were no issues or chances of slipping up! What tips and tricks do you have to eat healthier? For all my fellow Whole30'ers out there, how did it go for you the first time around? Who else is interested in trying out the program? joining the Best of the Blogs linkup! You nailed it with this! Everything is so true about why it might not be for other people. I love the whole30, but I think my social life does keep tripping me up! We live a life of community so it's hard for people not to pick up on me doing things differently and I end up putting too much emphasis on it. I'm so happy you had such a great experience! I'm glad you liked this Margaret! I guess it's a good thing that I'm antisocial in January after all the holiday parties. I just wanted to stay home and not eat out for every meal like I was doing! Another month might be a lot tougher! I am getting more and more intrigued by Whole 30, and I like and appreciate you breaking down the experience of it for us (seriously). It might be something that I need to keep in my back pocket in case my body does decide to have issues down the road. My problem? I love the food that I eat, and I don't have enough problems to really change any of it. Also, STUBBORN. And I love love love my Greek yogurt. and chocolate. And I don't like to plan that far ahead, even if I have generally the same thing all the time. Still, you have made it feel accessible, so kudos to you for that! I can completely understand where you're coming from! I'm glad that I was able to at least kind of convince you about the Whole30. Not as evil as you once thought, right? I guess it helps that I wasn't the biggest fan of the off limit foods anyway (minus wine and beer..missed them!) which made it a LOT easier. This post seriously makes me want to try Whole30! Even though I love sugar and carbs you paint such a persuasive picture AND I love your tips and tricks for making it work. Thank you! You should try it out! It's SO worth giving up sugar! Best part is slaying the sugar dragon!! No more daily cravings. Congrats on that! Such an accomplishment- especially not making a big deal about it in public. I'm so with you on meal prep/ I don't like doing it but it makes such a difference! Thank you Shay! Now that I'm used to meal planning I actually look forward to it! Just put on some Hulu, have something fancy to drink and chop chop chop! Yes, I can agree with all of this! One of the biggest things I've learned is that it really isn't for everyone. Although that sounds ostracizing. I'm writing my recap now! Excellent post, Gretchen! I thought it was interesting you touched on the peer pressure aspect of social situations or even work where people bring in stuff. Some people take it personally when you don't want what they're offering/having. I don't do whole 30, but I do perhaps eat "different" than a lot of people, and I've found that you have to get used to resisting people and/or disappointing them if you want to succeed in sticking to your meal plan! Thanks Gina! I think society is used to people caring about their health now and there's so many healthy options that it's a lot more manageable and not considered "weird" anymore! Yeah, I'm one of those people who this just isn't right for. But, even with that, I can appreciate some of the things it forced me to do, like eat a wider vegetable variety & focus on eating when I was hungry, NOT because it was mealtime. I did do like you & just didn't mention it in social situations, but the second I was out & NOT having a drink when everyone else was is when my friends called me out. January held a lot of social situations compared to years past. I'm sorry that you didn't see the same amazing changes that I did, but I'm glad that you were able to get some benefit from it! Now you know what works and doesn't work which is a good thing. Congratulations, Gretchen! So glad to hear that you found something that works for you and makes you happy. I think you did a great job breaking down the experiences and giving tips to make it manageable - I've seen a lot of Whole 30 posts lately and this one was one of my faves. Thank you! I really appreciate that Hanna! It sounds like this was a great experience for you! I'm always looking for new ways to change up my diet to be healthier, and I find that when I plan ahead, I'm always more successful. I like to make big batches of things so I can have something quick in the fridge at all times that's healthy. Planning makes a huge difference! I love how you had to sneak new foods in for Dan to try. Ha! Cool that he found some new stuff that he liked though! I could see myself basing my whole diet on the snacks of nuts and dates and I'd gain 30 pounds. That would seriously happen to me. I love that you enjoyed it and it was really cool to follow you along! He's seriously like a kid..I have to trick him into eating healthy! That's great to hear Kaitlin! Great job! Feeling clear in the head was a huge improvement for me too. I'm glad you had a great experience and positive results on Whole30. And that you enjoyed a beer on Day 31! I really want to start making my own condiments, especially since I've seen some awesome soy-free and refined sugar-free recipes on Paleo Leap and other sites. Also beet greens are amazing. I need to add those back into my diet now that they're in season! Homemade sauces are so much better than store bought! I hope you'll share some recipes after you try some out! Thanks Amanda! It sure did! I loved reading your thoughts and take aways on Whole 30. Your results were similar to mine and I am just trying to find that balance of introducing things and keeping it clean more often than not. I agree with you that Whole 30 isn't for everyone and not everyone understands why someone would cut all these foods and it is sometimes best not to tell people you are doing it. Luckily my friends and coworkers were all supportive and several joined in with me so I got to talk about it a lot. I am with you, I enjoyed trying new things and finding new sauces and such to make. Congrats on completely Whole 30! Finding that balance is tough! I want to stay on it 100% but it's definitely a lot of work. I'm happy to hear you had a lot of support, and congrats to you too! I'm so glad you enjoyed it! Congrats on completing it! this is so interesting, i loved reading how you made it work for you. i really want to do something like the whole 30, but not as drastic. i already don't eat gluten (celiac) but i don't eat a lot of meat so i can't see myself giving up beans and legumes, or quinoa. that being said, i really need to give up all the sugar and bad things, like the bag of potato chips i just finished. not a snack size bag either, lol. That would be tough, but giving up processed foods and chips would be a good start! Thanks Alexa! I agree it would be hard for you, especially with all the recipes you share! I think Im almost convinced that I need to start Whole 30!! I love that you included a section on both the positives, and potential negatives of a Whole30. I did a whole30 about a year ago (before adopting a vegan diet) and found it to be fairly easy. 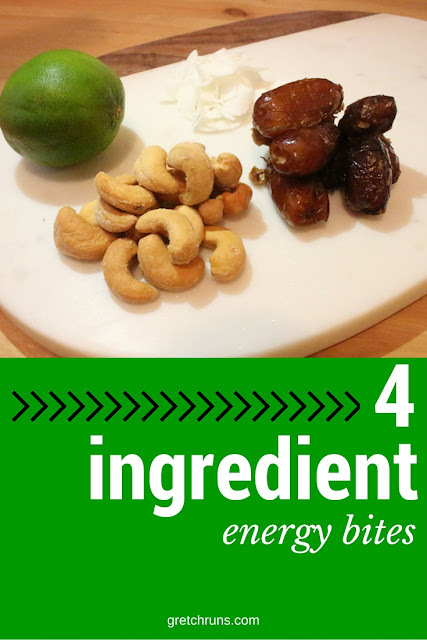 It definitely opened up my eyes to all of the added ingredients in packaged goods! I had a decent amount of energy on the plan, but now have so much more energy with all of the whole grains, fruit, and starches that I eat. I personally think the biggest proponent in the increased energy on this diet is getting rid of dairy (atlas thats how it was for me). Awesome recap! 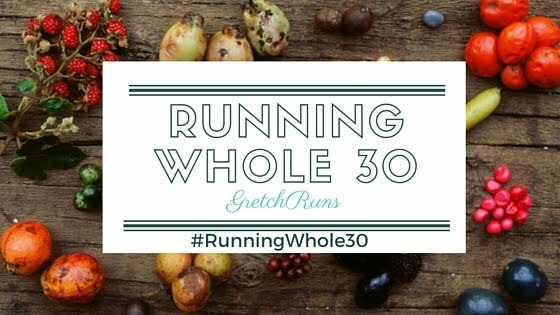 I don't think I'll ever try out the Whole30, but I LOVED reading about your experience! It was incredibly comprehensive and informative, Gretchen! Thank you Julia! I agree it's not for everyone, so I'm glad my information was useful for you! Nice work!!! You killed it. Love that you had a nice cold brew after - I like your style girlfriend!!! Thanks Chrissa! Your meal planning guide helped a lot. I'm all about the beer! I loved reading this!! I am currently reading the book, "It Starts with Food". I will be doing the Whole30 when I am finished. I am looking forward to the challenge and feeling better. It's amazing what food can do to your body without you ever really knowing it. I would recommend reading the book to anyone even if they don't do the Whole30. Such a great book and so informative. Day 21 for me. I can relate to what you're saying! I see the light at the end of the tunnel, and I'm still going strong. My biggest obstacle right now is staying off the scale. I SO want to see if I am as light as I feel. My 1st week to week and a half weren't pleasant, but I'm so happy I stuck it out. I WILL make to Day 30! I can honestly say, I don't want it to end! My advise would be to Prep like you're a Chef cooking for VIPS (have fun with it) and read every label! Congratulations and Best of Health!!! Gretchen. Thanks for your comments. I'm just on day 11 of the Whole 30 and so far is going well. I'm really looking forward to feeling better. I already notice positive changes. I found your experience to be very encouraging. Beer would definitely be the thing I'd miss the most! haha I've thought about doing this diet before. Glad you had so much success with it. And I totally agree about the coffee: when you have good quality beans you don't need to add anything to it! Such good, practical tips to do this! I'm so glad Whole 30 had such a positive impact on your body. I hate to say it, but I'd miss carbs and wine! Thanks for linking up! #BestofBlogs tweeted!